Dr. Marcus Haller had an plan – bring a breakthrough therapy to the public by building a profitable medical device company. Tinnitus sufferers, who perceive a persistent ringing in their ears, have few treatment options. This new noninvasive treatment technology consists of an iPod, earbuds and customized software. Professional audiologists would recommend it and fine tune it for appropriate tinnitus patient candidates. Audiologists were the primary audience and needed a convincing introduction to this new treatment. 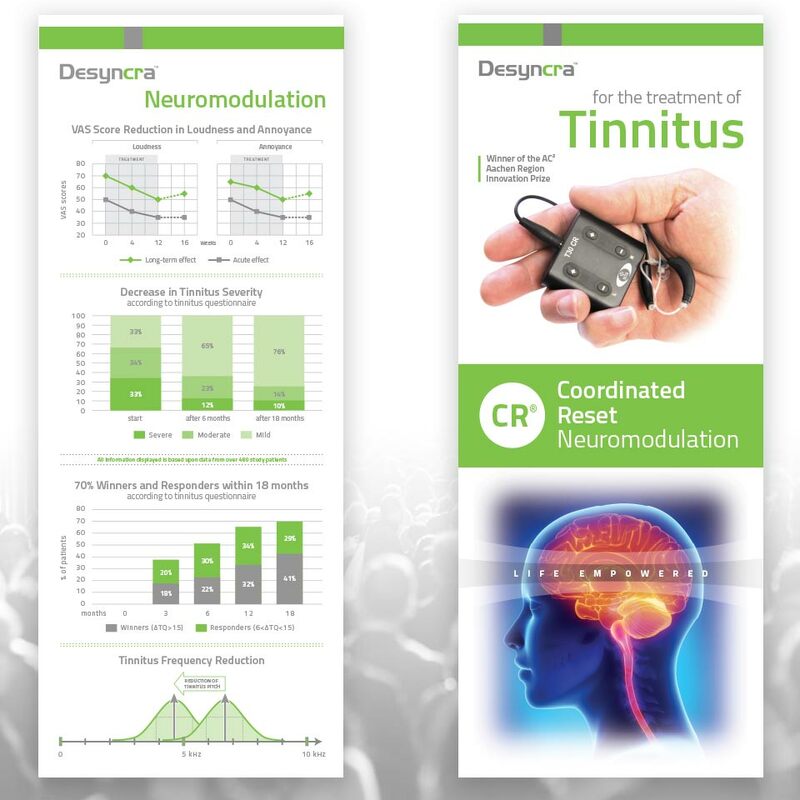 Appearances at audiology conventions was the most efficient way to exhibit the science. Symposiums and demonstrations would also offer valuable feedback. A smart, contemporary "medical device" at a glance look was needed. A color logo, a product photo and a video already existed. Charts, figures and scientific papers were being developed and revised. Finalized case study summary documents were given a clean and organized design which informed the entire visual branding process. 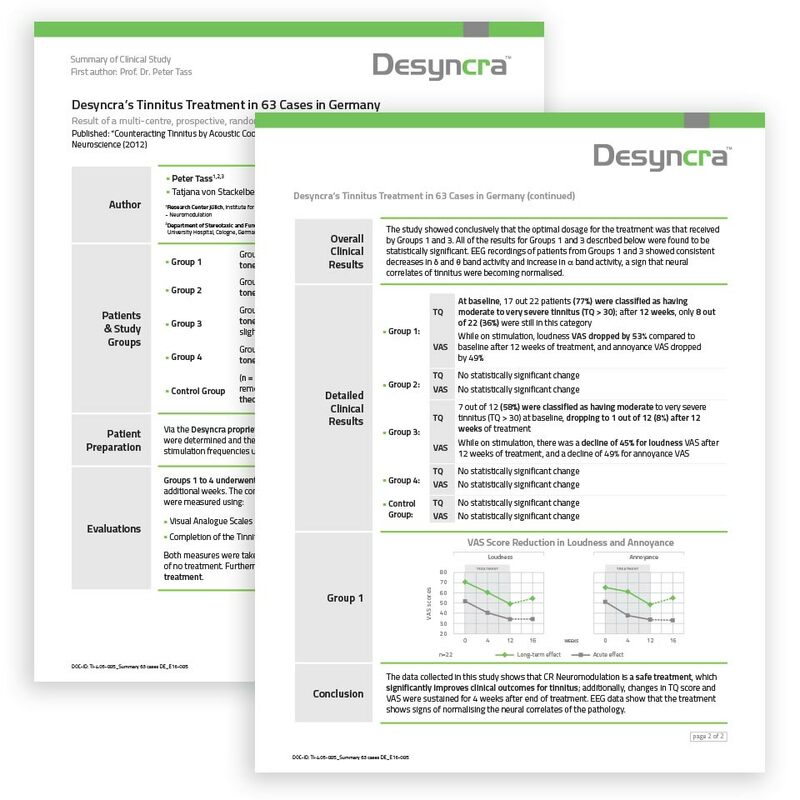 We reinforced the perception that Desyncra was serious about science and about doing business. One result of successful therapy is a shrunken area of unwanted brain activity. A clear before-and-after image was made from a careful compositing and retouching of multiple stock images. This composite image would later be used in several mediums and venues. 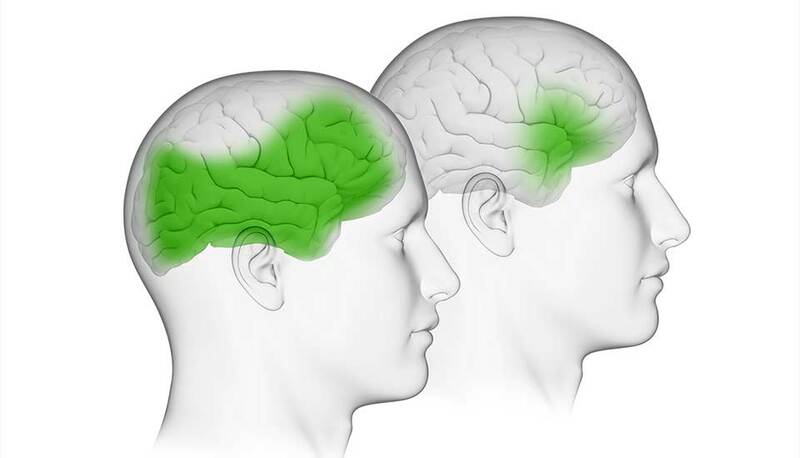 A plan was hatched to show problem areas of brain cells stimulated to fire out of sequence (good) versus firing in unison (bad). Several frames of original art were drawn up in Illustrator and rendered for different vendors to use as needed. Reload page to see a simple animation. A warranty serves as an indication of trustworthiness and a quality product. 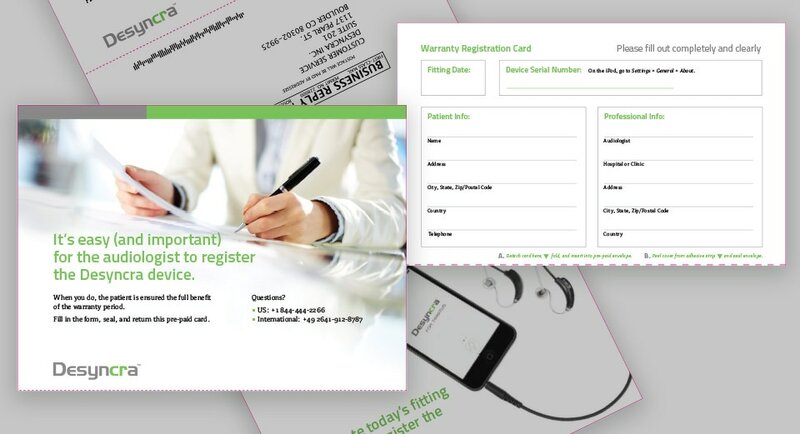 A warranty is also a two-way transaction where the audiologist submits information in return for that warranty protection. 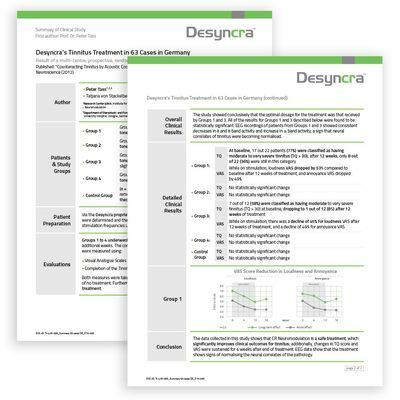 Desyncra needed the warranty processed quickly so chose to create a printed postage-paid self mailer (There was no website yet to handle the processing online). Adwords online advertising was at the end of my to do list. I took the marketing manager's six static ideas, broke them apart and made each into a 250x250 animated ad. Each of the six were supplied to an Adwords specialist as individual elements (with notes) to be rearranged and scaled for different sizes and proportions as needed.